As the huckleberry season progresses, we are receiving reports about huckleberries from all over the Rocky Mountain region. In the last week, two article about Huckleberries in Montana were published. Our first story warns pickers about huckleberries and bears! BOZEMAN, Mont. – It’s huckleberry season in Montana, and people aren’t the only ones looking for the sweet treats. Bears love them, too. Surprise encounters aren’t good for either party, said wildlife biologist Erin Edge, Rockies and Plains associate for Defenders of Wildlife, so it’s best to be “bear aware” if out harvesting the fruit – and let the bears know you’re there. 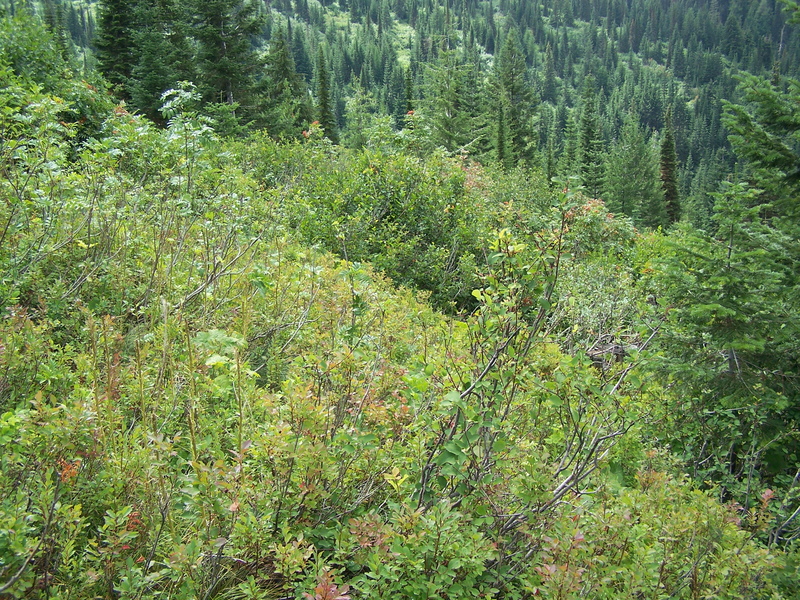 “Talk while you’re in areas that are dense with brush, have berries around, anytime you’re in bear habitat,” Edge said. Like cherries, huckleberries are a favorite fruit of many in the flathead. The season has been underway for just a few weeks, and since they are a wild fruit, you have to head out into the wilderness to find them. We wanted to find out what the crop was looking like this year, so we went out toward Hungry Horse where we’re told there are a lot of huckleberries growing. After combing the sides of the roads and hiking into the trails a little bit, we didn’t find many, meaning pickers have already made their way there. How is the huckleberry crop in your part of the world? We would love it if you share your story with us! 90 mySQL queries in 0.167 seconds.